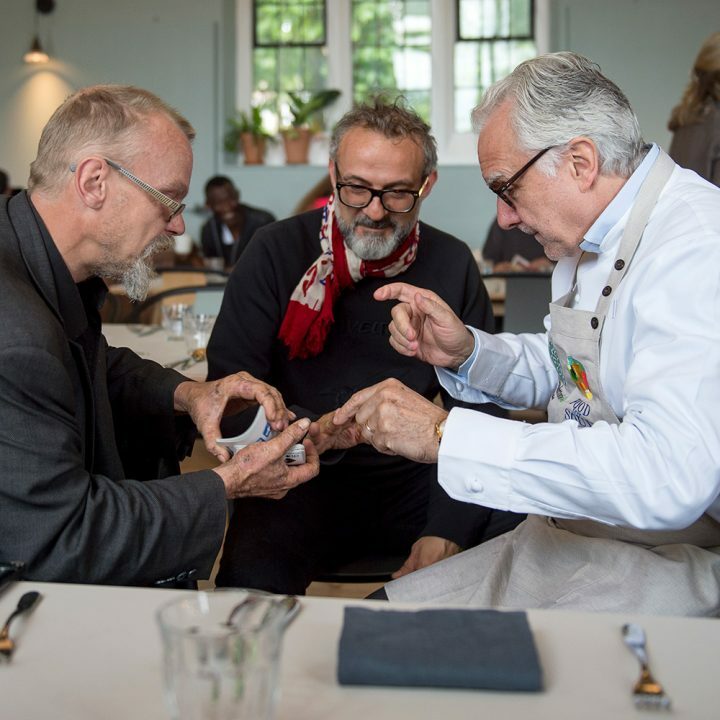 Food for Soul is a non-profit organisation founded by chef Massimo Bottura and Lara Gilmore to empower communities to fight food waste through social inclusion. In a world where one third of the food we produce is thrown away while over 800 million people are undernourished, we think of food wastage and food insecurity as two faces of the same problem. 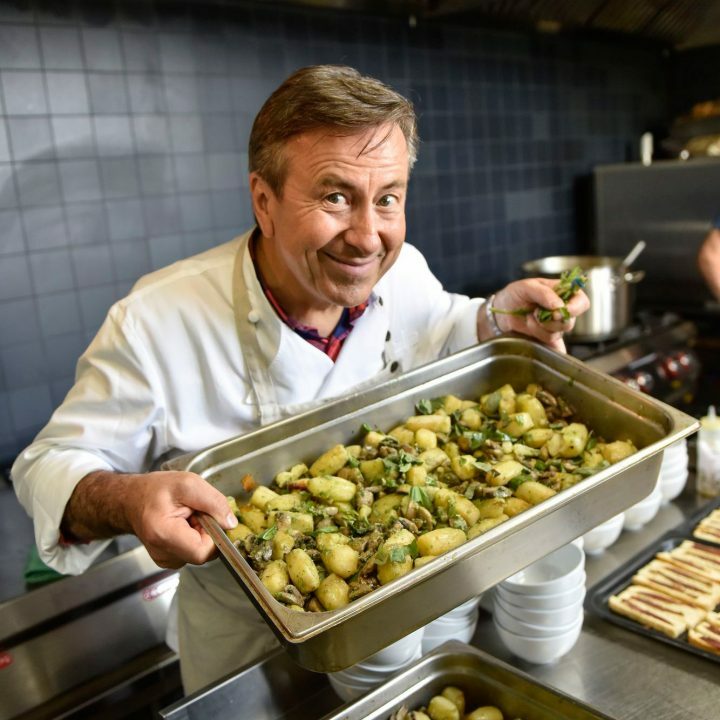 Food for Soul was founded in 2016 with the aim of encouraging public, private and non-profit organisations to create and sustain community kitchens around the world, as well as to engage professionals from different fields, including chefs, artists, designers, and food suppliers, to promote an alternative approach to building community projects. A warm, seasonal, and delicious meal shared at a table with others is much more than the sum of its ingredients. It is a gesture of love. Food wastage and food insecurity are two faces of the same problem. Through our projects we aim to empower communities to fight food waste through social inclusion. We develop partnerships with different organisations, support them with capacity building and work together to open and manage projects across the world. Each project is different and is shaped on the needs of the local community, developed to be sustainable on a long term, and self-sufficient. Each of them also aims to create an inspiring and vibrant community space open to all. 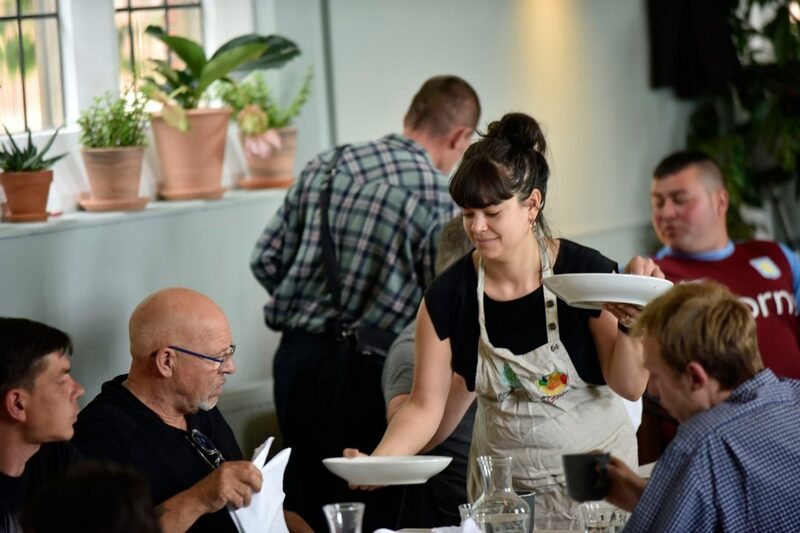 Through our community kitchens, we want to celebrate the value as well as the potential of what is abandoned, unheeded and discarded. 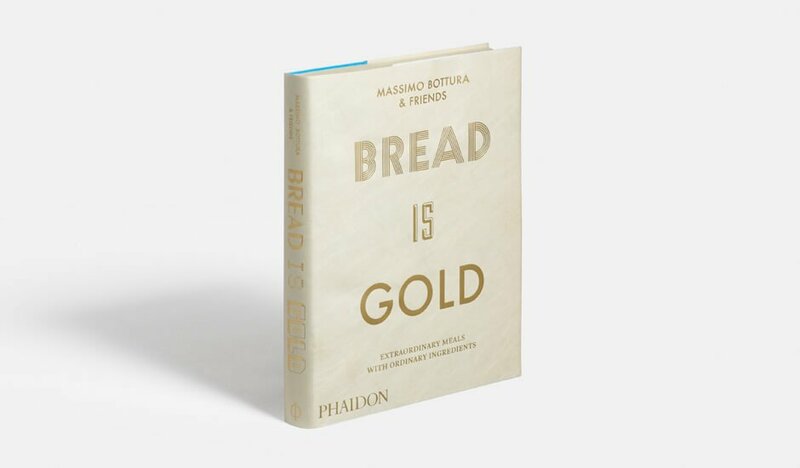 With over twenty years of experience helming his three-Michelin-star restaurant Osteria Francescana, and thanks to his innovative energy and social sensitivity, chef Massimo Bottura is considered one of the world’s leading culinary figures. 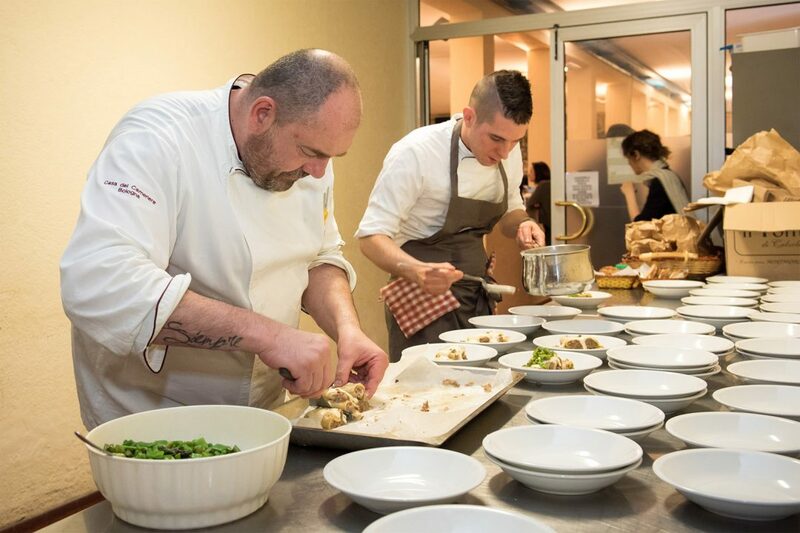 In 2015, Massimo decided to apply his creative energy to the issue of food waste, and dedicate himself to the formation of community projects. 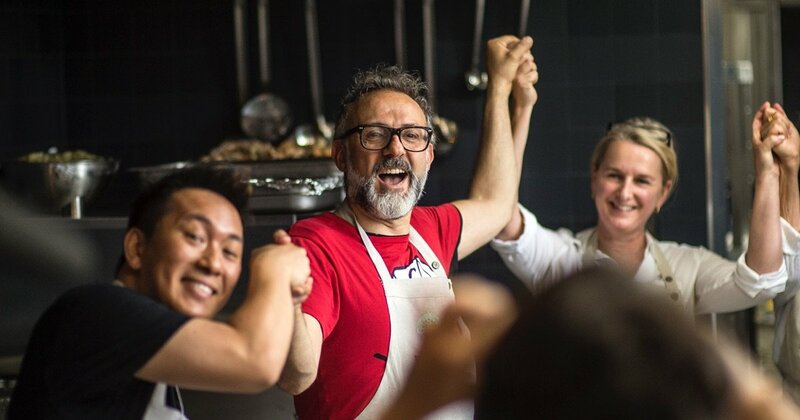 Massimo confirmed his dedication to empower local communities around the world when he founded Food for Soul in early 2016. 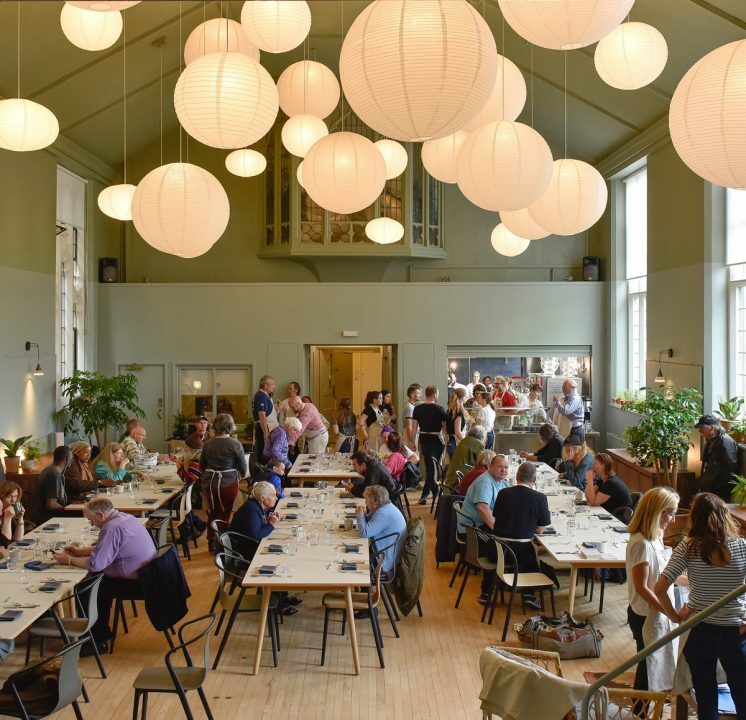 Together with Massimo, Lara launched Food for Soul as a way to redefine the role of traditional community kitchens. Her in-depth knowledge of contemporary art and of the importance of culture and art as tools for inspiring change have been instrumental in the definition of the organisation’s approach and mission. 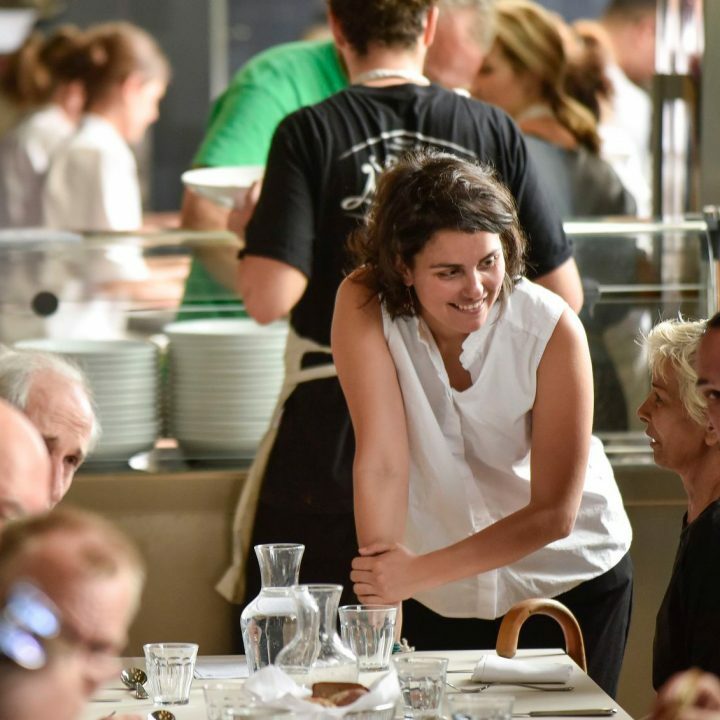 For over twenty years, she has been an integral part of the team of Osteria Francescana, where she works primarily on marketing and communications. As President of Food for Soul, she continues to dedicate her energy and ideas to reach the wider community and involve professionals from all over the world in the mission of the organisation.